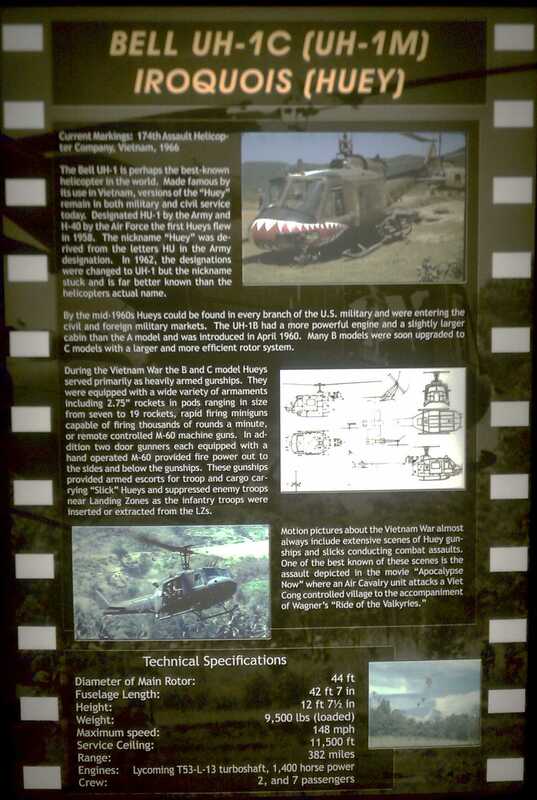 The Pima Air & Space Museum, located in Tuscon, Arizona, is one of the largest aviation Museums in the world, and the largest non-government funded aviation Museum in the United States. 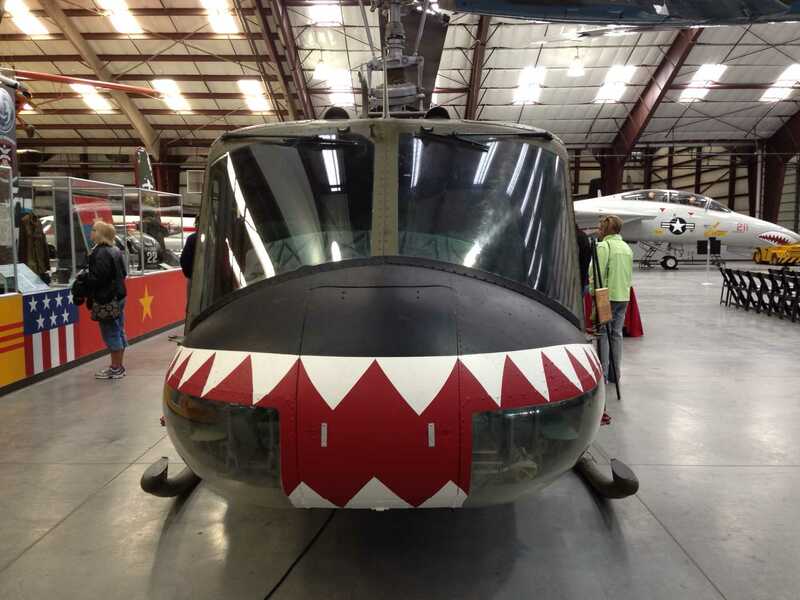 The Museum maintains a collection of more than 300 aircraft and spacecraft from around the globe, including many rare and one-of-a-kind, and more than 125,000 artifacts. Here you will walk among the giants of our aviation heritage, including military, commercial, and civil aviation. Among them are a B-29 Superfortress, the SR-71 Blackbird, and a rare World War II German V-1 "buzz bomb." Their collection includes President John F. Kennedy's Air Force One, and presidential aircraft used by president's Nixon and Johnson. 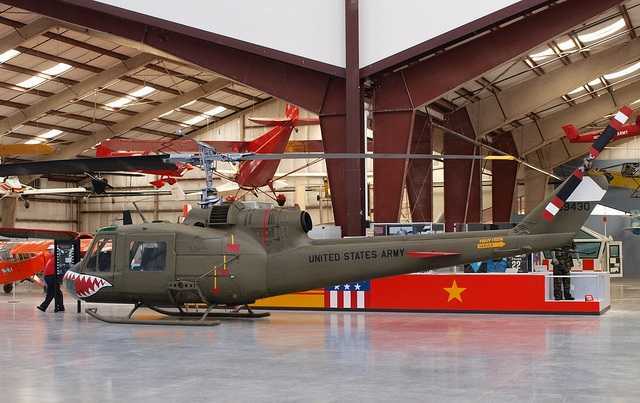 Recently the Pima Museum acquired a UH-1C/M for their museum. 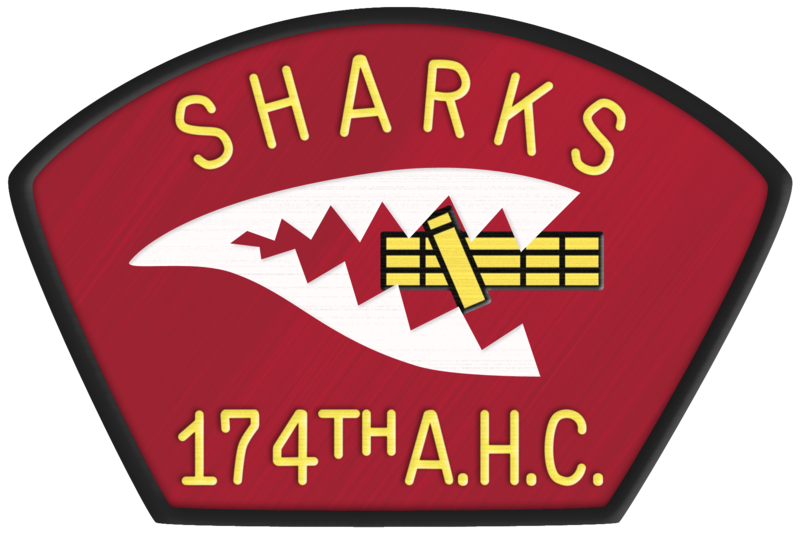 In researching the history of the aircraft, it was discovered the aircraft was formerly a 174th AHC Shark gunship, 65-09430. 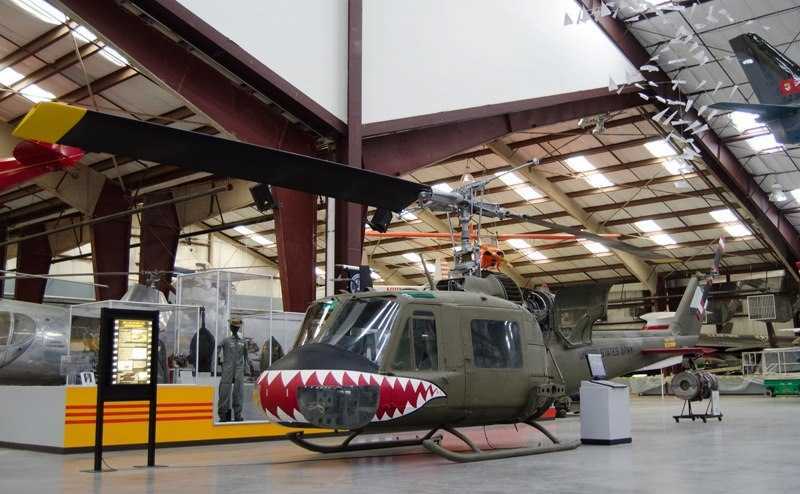 Not only that, but it was one of the original Sharks that deployed with the unit from Ft. Benning, GA to Qui Nhon, Vietnam in 1966. Contact was made between Scott Marchand, the museum's Director of Collections and Aircraft Restoration, your webmaster, and the 174th AHC Association, and after some discussion and coordination -- and a few visits to the museum by some of our folks -- the museum agreed to restore 430 to it's original 174th colors. 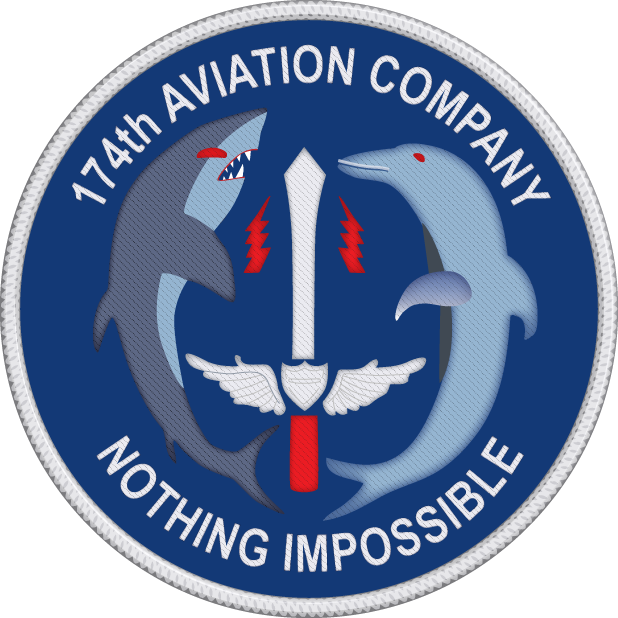 This was done, and Shark 430 once again proudly sports the livery of a 174th Shark. 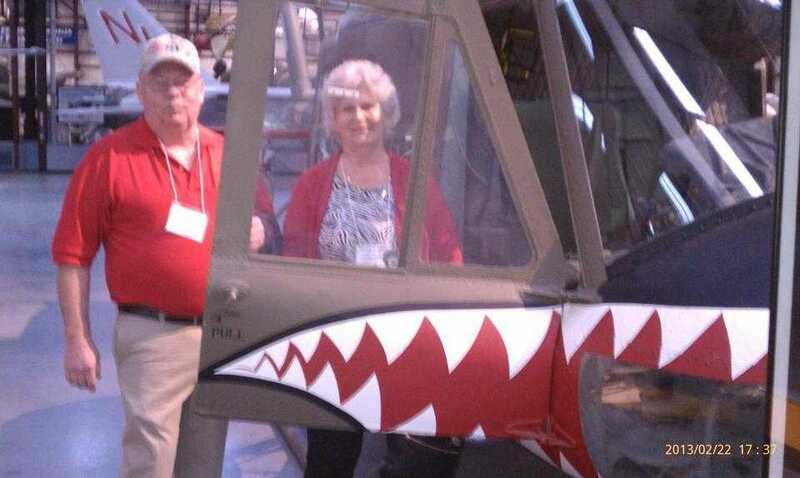 After the restoration, Al English and Ron Conner received a follow-up email from Scott stating that they had finished restoring the basic aircraft with Shark's teeth, minus any weapons system, and they would be dedicating "Shark 430" on Friday, 21 February 2013 to a place of honor in the main Pima museum hangar. 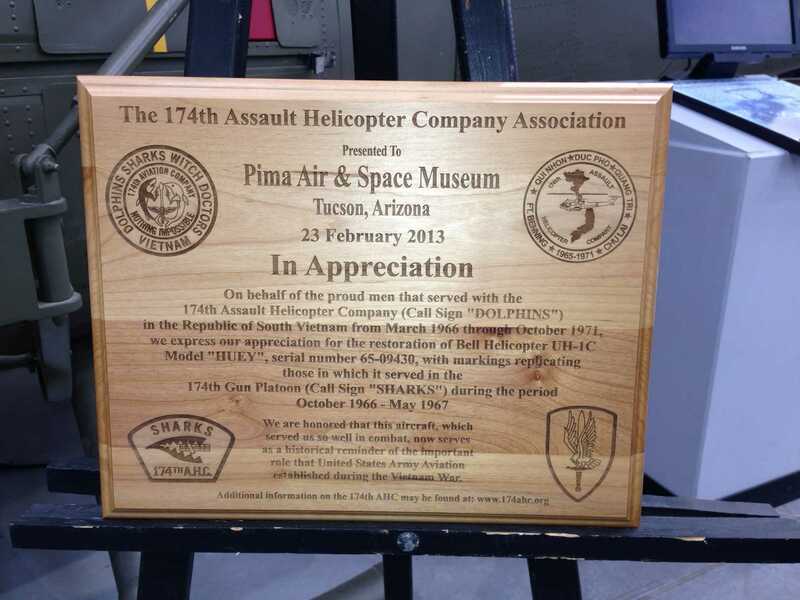 "This was a tremendous event for the 174th, to have our aircraft displayed in a museum of this quality and size. My understanding is that the museum has one minigun and rocket pod in house, and another located. It will be great to see the armanment back on Shark 430. Being a crewmember and backseat guy, the memories were many. 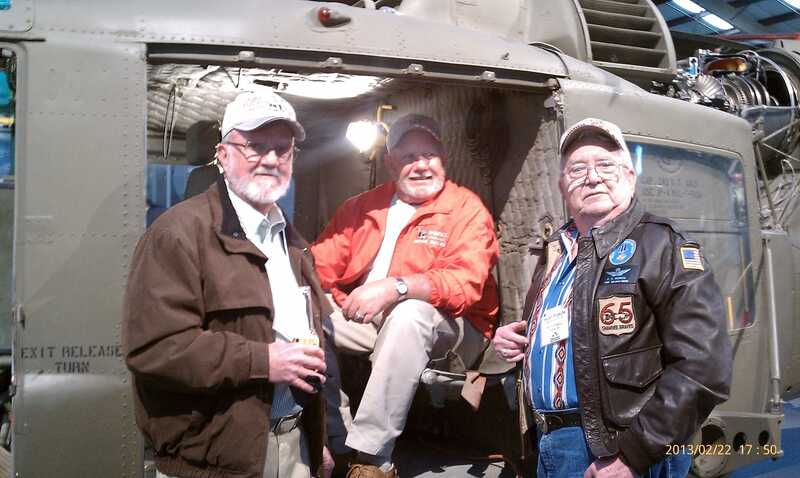 And to be able to share these memories with pilots that I flew with... to walk up and touch the old bird, look up and remember the daily inspections that we always performed... sitting in the left seat remembering the take offs, and the sound of the rotor blades... feeling again the gun runs and firing the M-60 door gun... rearming and hot refueling to go on another mission... the scrambles... Yes, the memories. I think the panels that the museum organized were right on target. To be able to hear questions answered from a pilot's view, and to have questions answered from the crew. And to know that I was a part of this company, and to get together with the pilots that I had the privledge to fly with and make these memories with... what an honor. Words cannot describe what you 67-68-69 guys mean to me. NOTE: The acquisition of the additional minigun and rocket pod is not at all certain. If any of you reading this know where the museum can obtain the second minigun and rocket pod, please let either Scott Marchand at the museum know, or let me know (your webmaster), and I'll pass along the information. 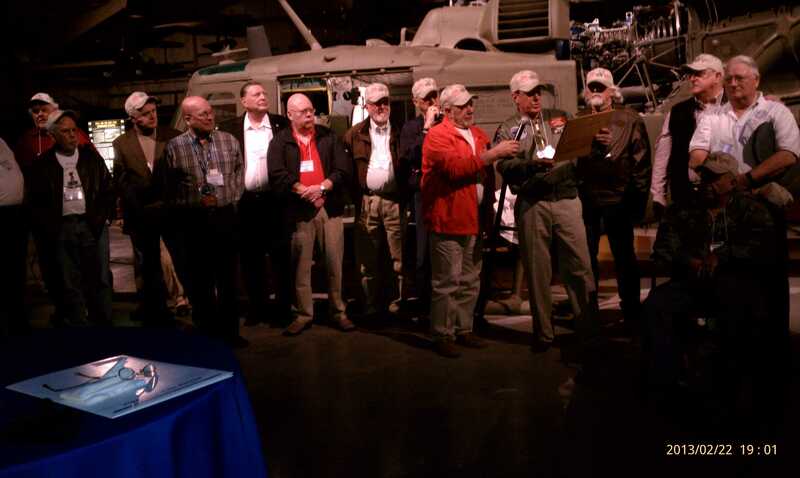 Below, Ron holds the microphone as Al reads the plaque. On Saturday, February 23rd, the first panel of the forum was "Civil/Commercial Operators Panel." No photo was available, but the participants were Larry Clark, Mike Banek, Gary Rassomme, Gary Moline, and Peter Lautzenheiser. 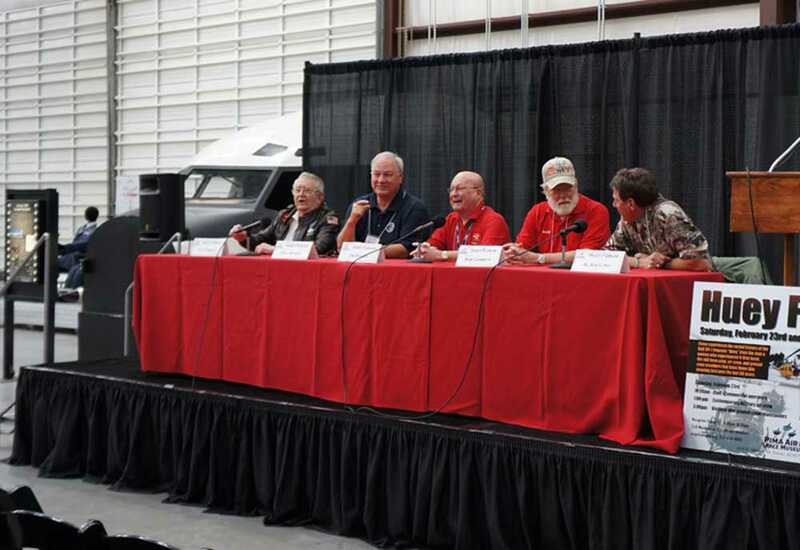 Below is the "Contemporary Military Aircrew Panel." Left to right: Billy Wood, Trish Thompson, Brand Rinehart, and Art Cline. 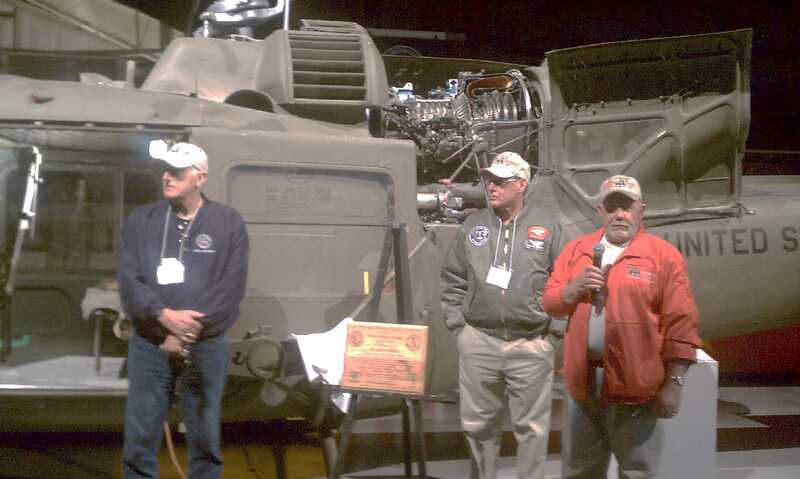 Below is the "Vietnam War Ground Crew/Maintainers Panel." 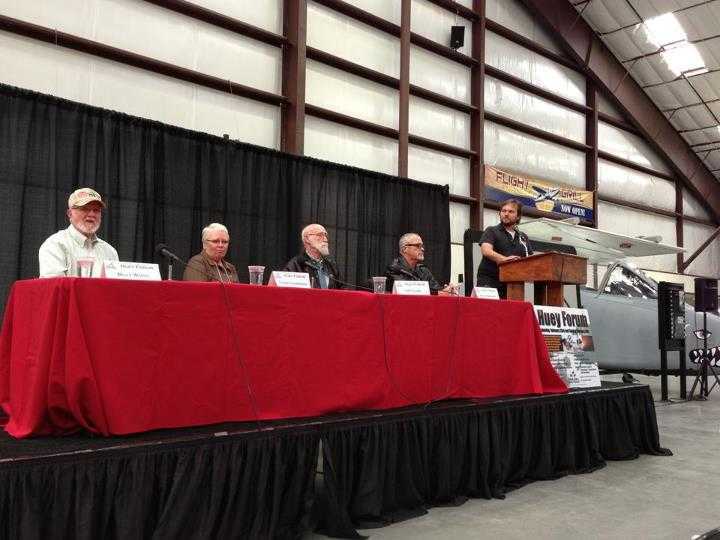 Left to right: Wayne Lovett, Phil Daneau, Darrel Bennett, Mark Zimmerman, and Ron Conner. 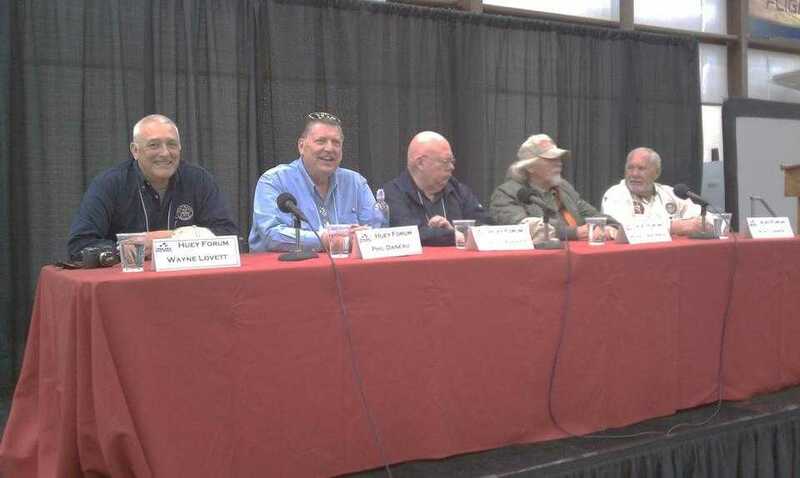 The next panel was the "Vietnam War Aircrew Panel." 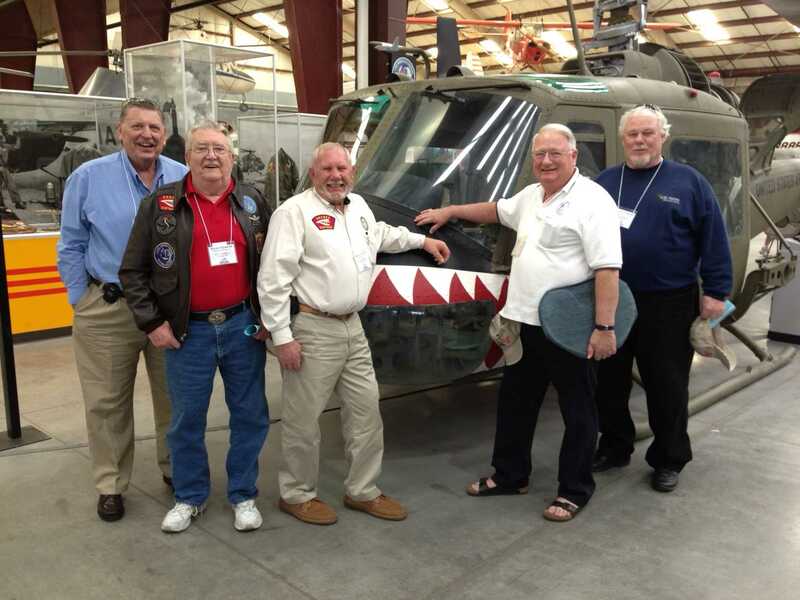 Below, left to right: PT Yowell, Mike Banek, Jim Young, Bob Gamber, and Al English. 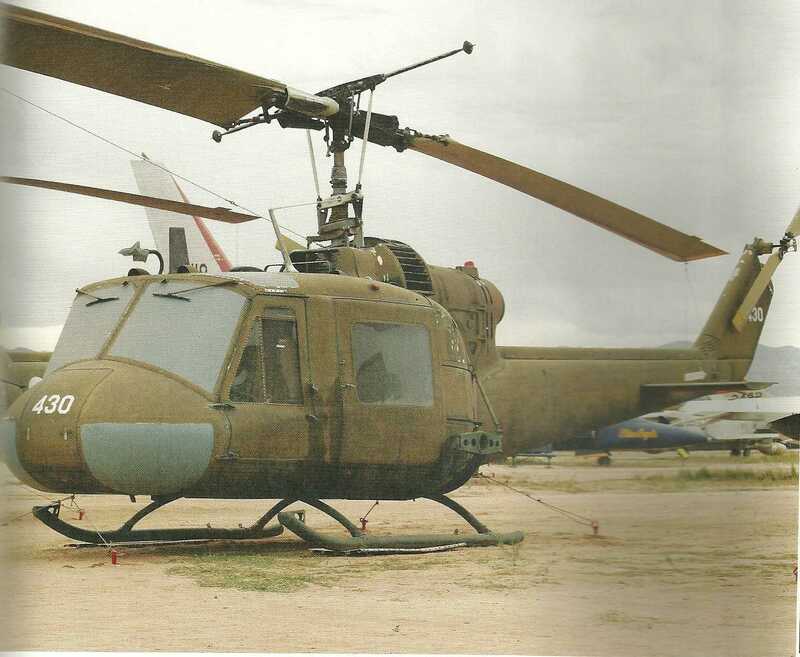 The final panel was the "Huey Design and Testing Panel. No photo is available, but the members were Bill Sorenson, S. Harry Robertson, Bob Asbell, Major Troy E. Smith (USMC), and Greg Aguirre. The Keynote Address and the wrap-up was provided by Robert Mason, author of "Chickenhawk." 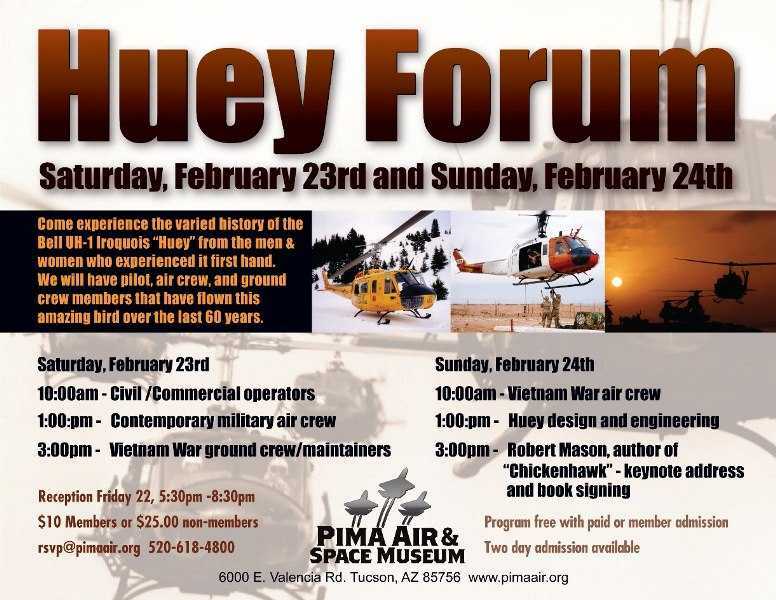 We want to thank Scott Marchand and the entire Pima Air and Space Museum staff for their hospitality, and for their dedication to capturing and preserving our military aviation history. Return to top of: Since Vietnam page.